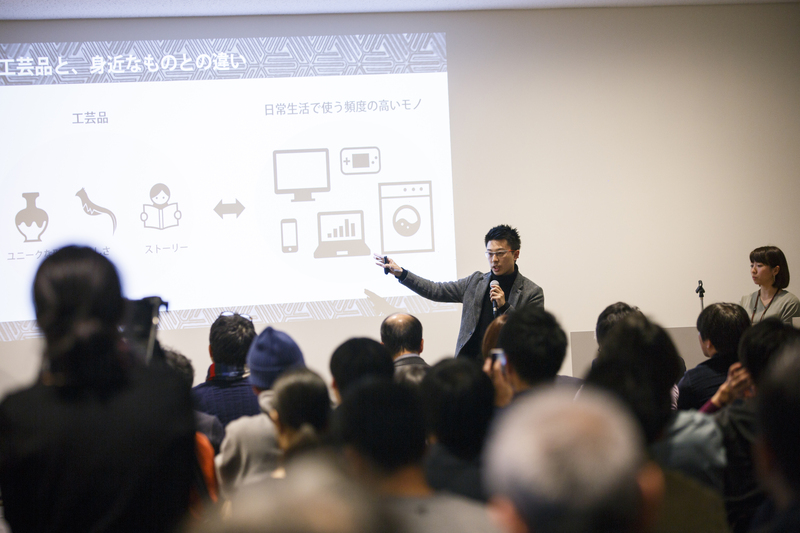 Planner & Organizer： Epiphany Works, Ltd.
Can we connect kogei with the future? Kogei (craftwork) in Japan is facing various challenges these days, such as changes in people’s lifestyles and a lack of successors. For us who live in today’s society of global capitalism, is the inefficient art form of such handiwork no longer necessary? Can kogei thrive as an industry, rather than just survive? 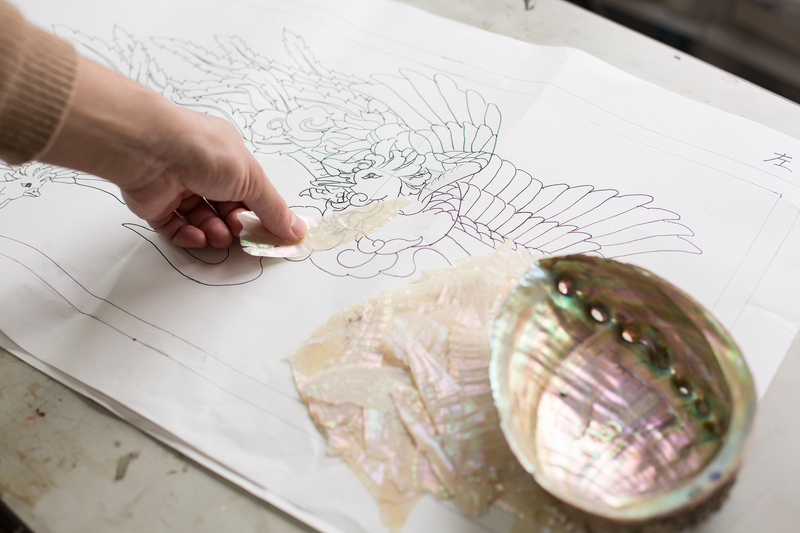 The techniques and passion of this metalwork and lacquer art have been carried on for over 400 years in Takaoka City in Toyama Prefecture, and even today there are still many craftspeople and artists who are striving to continue their craft. 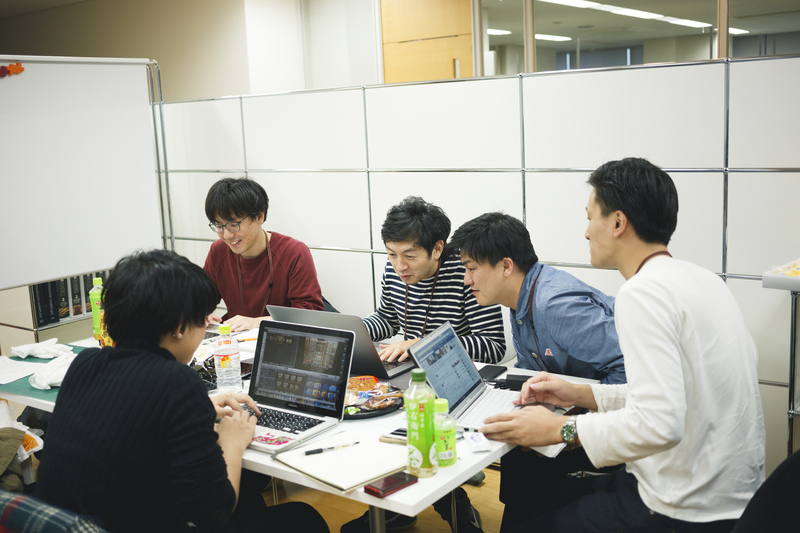 The KOGEI HACKATHON 2017 featured 37 participants from a diversity of fields, including craftspeople and artists from Toyama Prefecture, engineers working with state-of-the-art technologies such as artificial intelligence (AI), augmented reality (AR) and virtual reality (VR), robotics and information technology, and creators of fashion, music, media art and illustrations. 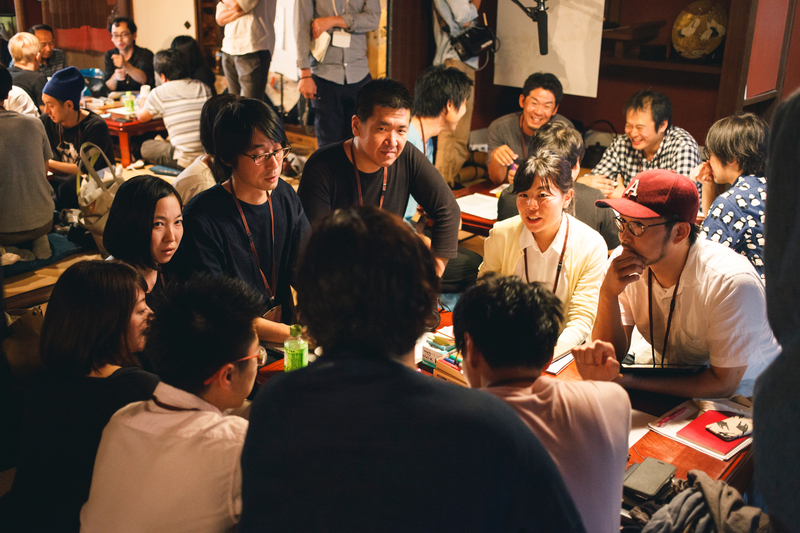 Through a series of processes, the participants re-explored the value and issues of kogei, while aiming to create collaborations that will innovate the future of creativity in Japan. 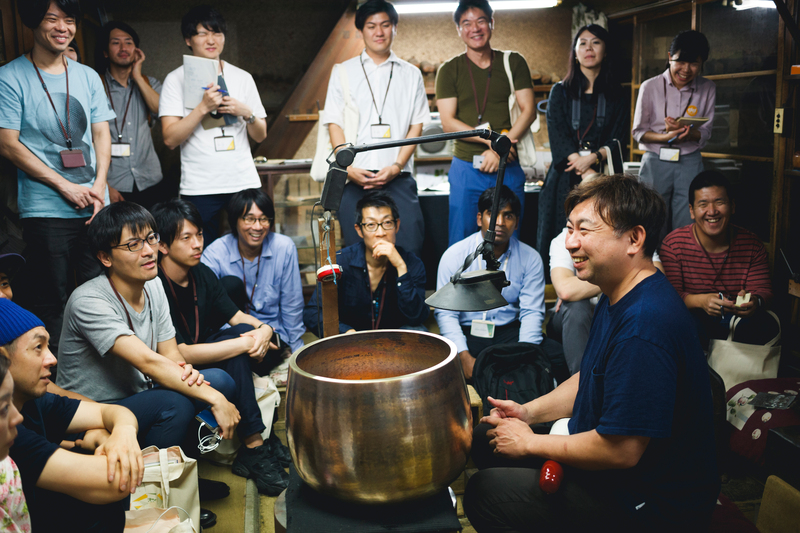 The participants went on a tour of Takaoka and visited its copperware and lacquerware factories and studios, while also enjoying its streetscape and other attractions. 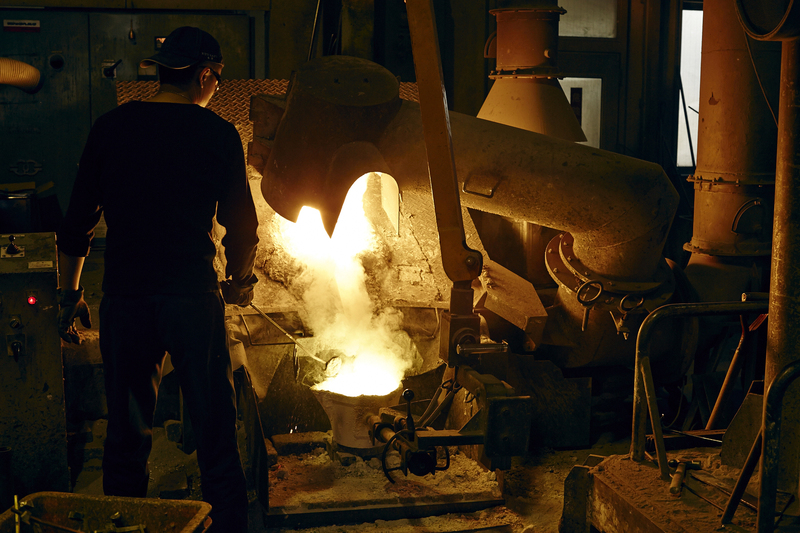 Highlights of the tour included: observing casting techniques at the Heiwa Gokin foundry; learning about Takaoka’s copperware at momentum factory Orii, which has been carrying on the city’s traditional copper coloring techniques, while also establishing its own methods for creating new colors and usages; visiting the Musashigawa Kobo that carries on traditional mother-of-pearl lacquering, one of Takaoka’s lacquerware techniques, and watching the traditional technique; and viewing the hammering technique used to create orin (Buddhist bell) at the Shimatani Syouryu Koubou. 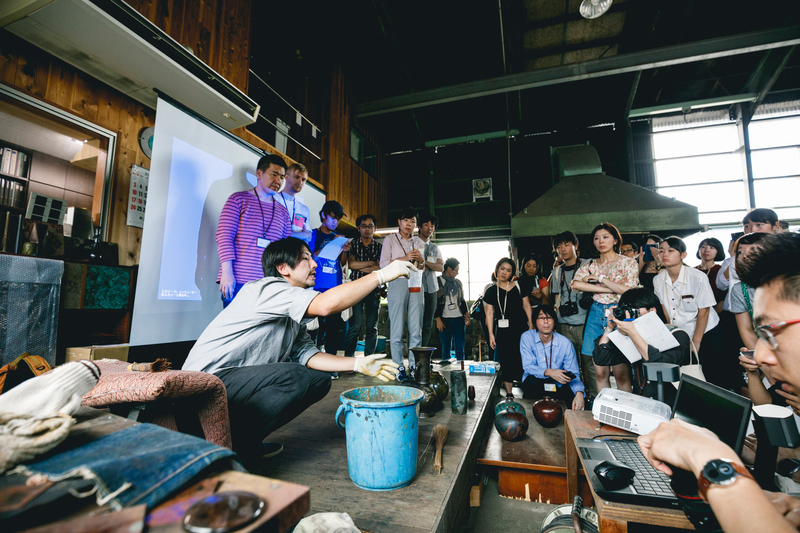 It was a day filled with experiences that showed the participants some of Takaoka’s traditional techniques passed down through generations, and conveyed the power and value of the city’s monozukuri culture that is also creating new craftwork. After the tour of Takaoka’s traditional industries on Day 1, the participants came up with the following key words to describe the appeal of kogei: indigenousness, technical prowess, accumulation of history and time, fortuity (changes arising from nature and time, a sense of speed of humans and nature, unique appeal of natural materials/people), a feeling of trust by knowing who makes the item, personality, emotion and warmth, beauty of form, expression, techniques, intersection with science. The participants brainstormed several ideas based on these keywords, and then formed seven teams. During the period for independent activity from September 25 to November 17, each team created their own works to express these ideas, which they revealed at the presentation event on November 19. 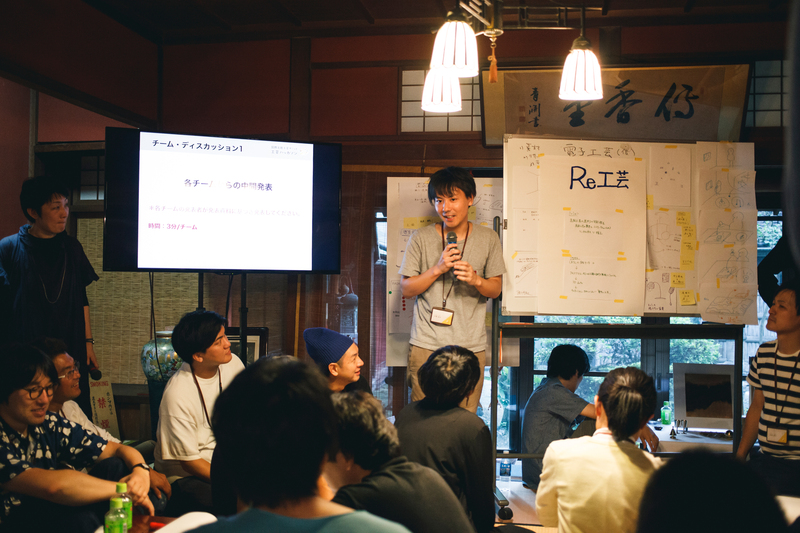 After around two months of independent activity, the 37 participants reassembled in Takaoka. Each of the seven teams worked hard to create their works and prepare for the presentation the following day. One team’s submission used metalwork and lacquer ware that were premade by participating local artisans; another team installed and ran a computer program, and there was even a team that used paper to create a Western outfit on the day. 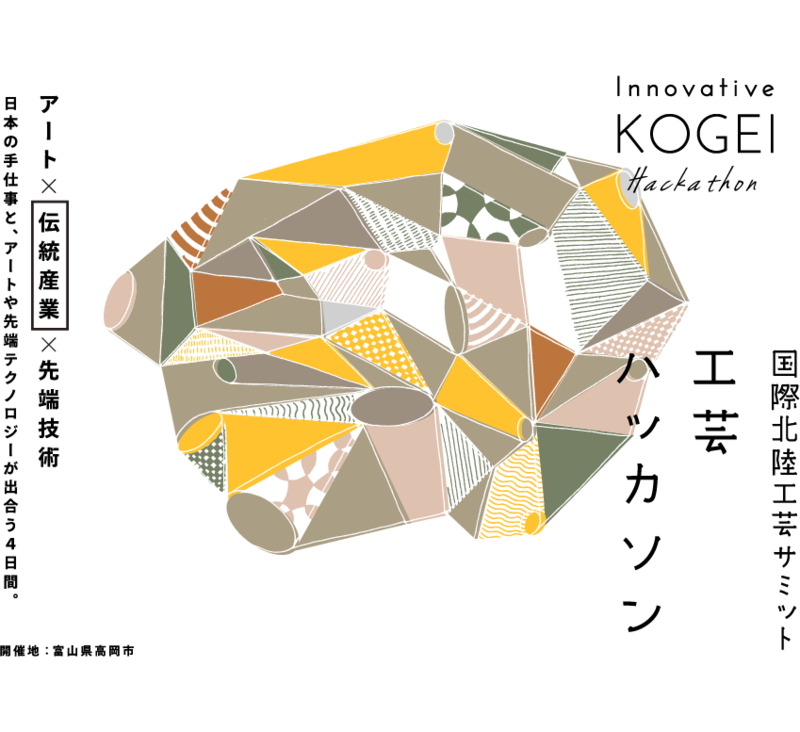 It was a day of chaos but also of excitement, with a sense of new ideas and objects being born. In a packed venue of participants, judges and the general public, each team made their presentations, which were followed by the public judging. After passionate presentations and careful judging, the winners were finally announced. 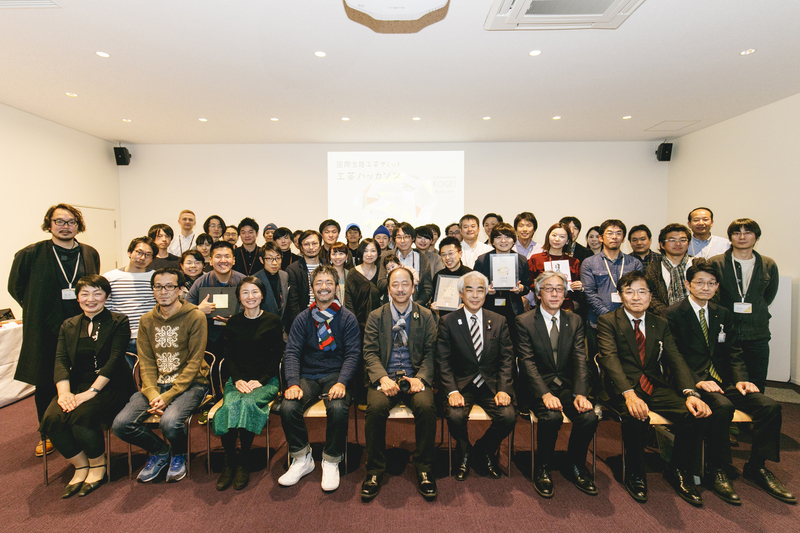 Following the announcement of the prize, two of the judges - Ryozo Takeyama, Dean of the Faculty of Art & Design, University of Toyama, and Akiyoshi Takagawa, Head of the Takaoka Design & Craft Center - enthusiastically commented they would very much like to collaborate with the team on future projects. 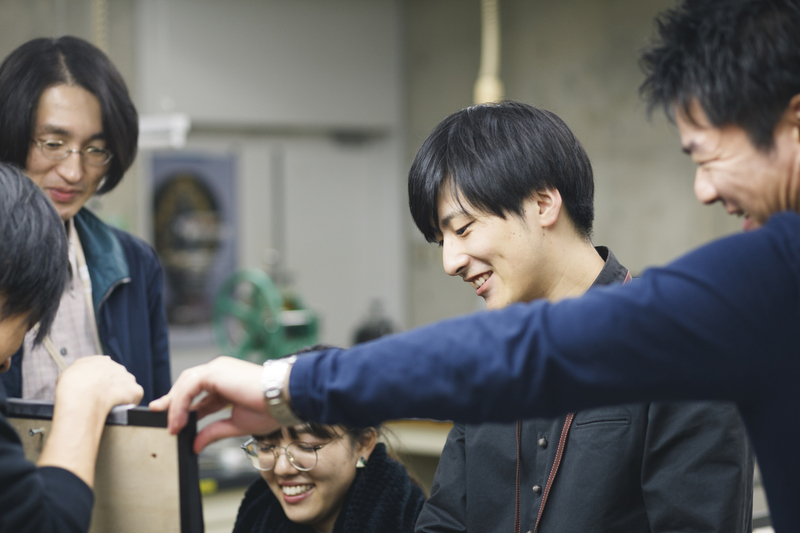 One of the judges, film director Seiichi Hishikawa, highly praised the team for "making a great leap to its ingenious idea of utilizing the common craftwork of lacquer ware as lighting." He commented on "the likely trend toward increasing demand for pursuing ideas that rise above the functionalities of kogei, while preserving its traditions." The other judge, Chiaki Hayashi, CEO of Loftwork Inc., closed the judging with the following comment.